Christiane Silber received her conducting training with Jörg- Peter Weigle, Marek Janowski and Vladimir Jurowski. ​A pupil of Marek Janowski and Jörg-Peter Weigle, her many collaborations include the Jena Philharmonic Orchestra, Babelsberg Film Orchestra, the Jena Philharmonic Choir, German-Scandinavian Youth Philharmonic, and the Humboldt University Philharmonic Choirs and Orchestras. 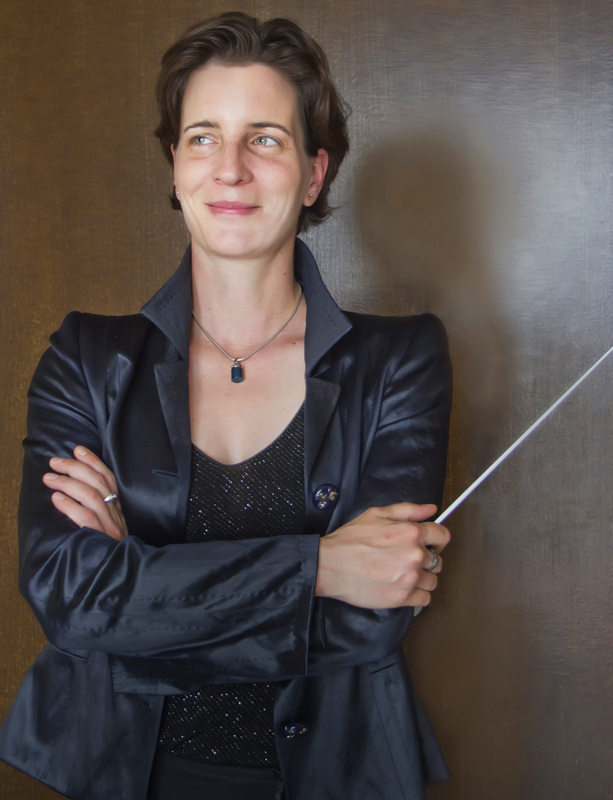 She was assistant conductor to Andreas Peer Kähler with the German Scandinavian Youth Orchestra for several years, as well as assistant to Constantin Alex of the Symphonic Orchestra of the Humboldt University and the Student Philharmonic. A dynamic collaborator, her Chinese tours with the German Film Philharmonic of Berlin have been highly celebrated, and her cross over projects with contemporary German recording artists include recordings and concerts with both Amé Toki (for Unicef), Schwarz un Schmitz and most recently Axel Prahl. In October 2017 she conducted the Syrian Expat Philharmonic Orchestra in Berlin at the Final concert of a workshop together with Berlin amateur orchestras in the concert hall of the UdK Berlin. In January 2016 she made her debut at the Staatstheater Schwerin with the Mecklenburgische Staatskapelle Schwerin and in January 2018 served as assistant to Ariane Matiakh at the Opéra national du Rhin in Strasbourg for a new production of Jules Massenet's "Werther". In 2018 she also conducted several concerts and the CD production for Axel Prahl's new album "Mehr" with the Brandenburg Symphony Orchestra. In January 2019 she conducted the Rundfunk-Sinfonieorchester Berlin for the first time. This is "her" orchestra, as she has been a permanent member here since 2005 as an associate principal in the viola section. In February 2019 she is engaged as assistant to Henrik Nánási for a new production of Tchaikovsky's "Jolanthe" at the Palau des les Arts Reina Sofia in Valencia. Born in Berlin, she began studying the piano at the age of four, followed by violin and later singing lessons. She studied music with a major in viola in Berlin and Weimar and graduated with a "Konzertexam".